Gain new insights. 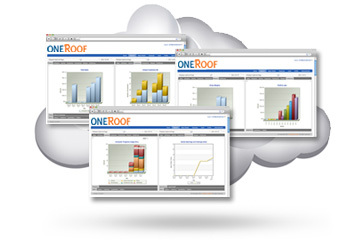 OneRoof‘s Management Information System (MIS) gives you 24/7 online anywhere-you-are access to graphic reports that tell you what’s happening in each and every location. OneRoof’s Main Control Station (MCS) empowers an administrator to manage and control everything related to your public access computers, including access, registered users, and all your services. Point of Sale (POS): OneRoof includes a full-featured POS system which allows you to charge for goods and services. This system supports telecentre sustainability, and connects with most receipt printers, barcode scanners, touch screens, and cash drawers. Manage your public access computers across every site in your network. 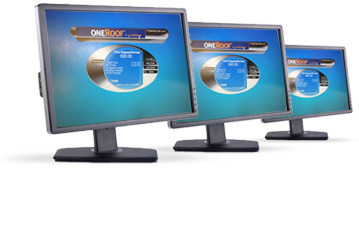 OneRoof’s Client Computer software is easy to install and set up, and operates on standard peer-to-peer networks, including Wireless LANs. Setup WiFi hotspots, configure diskless clients and map web services in a snap with advanced network configuration options to boost store performance and customize your every need. Easily setup a WiFI hotspot for customers who bring their own computers and laptops, and then charge them for time and access directly from the OneRoof POS (point-of-sale). OneRoof supports every imaginable pricing structure by allowing customization of pricing models and advanced quantity discounts, including off-peak and peak prices, offers, prepaid tickets, and much more. The OneRoof Game Loader and Auto Patcher automates patching of games on every Client machine, thus eliminating the administration work of installing new games on individual machines. Auto login scripts for Origin and Blizzard’s Battlenet games are provided, in addition to OneRoof’s support of Steam. Give your telecentre a unique look and identity by customizing your Client interface or use one of the many different skins included. Client computers do not need to all be running the same version of Windows O/S. Computers with a mixture of different Windows O/S versions (i.e. 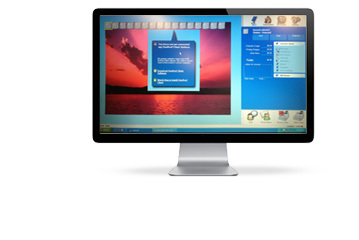 mix of 2000, XP, Vista, Windows 7, Windows 8, Windows 10) easily connect to the Main Control Station (MCS).